Here’s the in-depth information you need to be a safe and effective prescriber of medications. 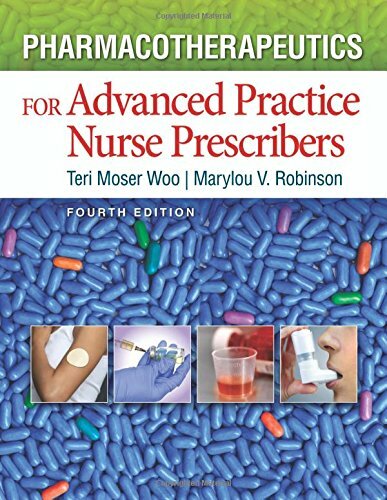 This exceptional text builds your knowledge of pharmacology by first providing an overview of pharmacologic principles and then teaching you how to apply those principles to clinical practice. Focusing on applying pharmacologic scientific knowledge to clinical practice, it explains diagnostic and treatment reasoning and rational drug selection, while providing useful clinical pearls from experienced practitioners. The use of a Rational Drug Selection process enables you to understand how to prescribe the right drug...for the right patient...at the right time! Updated to reflect the most recent scientific knowledge and clinical practice in the field, the 4th Edition provides everything you need to confidently tackle the ever-changing and increasing volume of pharmacology information. If you have any questions about this product by F.A. Davis Company, contact us by completing and submitting the form below. If you are looking for a specif part number, please include it with your message.